At FG&G Financial Services, LLC we have dedicated our education, and careers, towards being able to provide a knowledgebase of financial expertise that performs and inspires. We invest the time to know each of our clients and appreciate the financial dynamics they will encounter in their lives. Our reputation demands that we connect with our customers in ways that earn their trust so that we may deliver the level of insight necessary to help them attain their financial goals. Our approach is as uncomplicated as it is authentic. Together, we will conduct an intensive audit of your financial planning experiences and set out towards affirming your goals and establishing a timeline to achieve them. We will articulate the goals we discuss, establish the most forward-thinking financial plan to pursue those goals, measure our efforts and meet regularly to review your progress. Steve Farrar is a 25-year veteran of accounting and financial planning services and is one of the more trained and diversified professionals in his trade. Steve is a Certified Financial Planner, a Personal Financial Specialist, and a member of the Financial Planning Association who offers in-depth financial planning foresight and counsel. His fresh perspective and strong commitment to building lasting relationships serve as a valuable asset to his clients and helped Steve earn the distinction of being named a Five Star Wealth Management Professional by Boston Magazine in 2011 and 2013. Steve is also a Certified Public Accountant and has an extensive background serving as a partner at a mid-sized accounting firm and holds a masters degree in taxation from Bentley College. 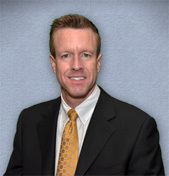 Steve is a native of Marblehead, Massachusetts and is also a Notary Public. 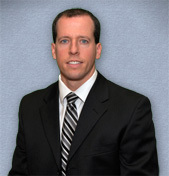 Anthony Gates is a CERTIFIED FINANCIAL PLANNER™, a Personal Financial Specialist and a Certified Public Accountant. He is a Registered Investment Advisor committed to providing strong relationships with his clients and adhering to a strict fiduciary standard. His exemplary background is further enhanced by his more than 17 years of financial and accounting expertise. He is a member of the Financial Planning Association and is an advocate of promoting the benefits of a sound financial plan. In his role as a Certified Public Accountant, he also serves as a partner at a mid-sized accounting firm. His combination of disciplines in both the fields on financial planning and taxation provide a level of proficiency that makes him unique to his profession. Anthony is a graduate of Merrimack College and a native of Danvers, Massachusetts.